The Chinese Huawei company is getting ready to release a new Android smartphone on the Chinese market. Expected in mid-April the novelty will be called Ascend P1 and will boast an ultra slim body with thickness of just 7.69 mm. Available in three colors – black, white and pink – the new Huawei Ascend P1 will sport a 4.3-inch Super AMOLED screen with QHD support and 960 x 540 pixel resolution that will be protected by Gorilla Glass. Inside one will find a 1.5 GHz dual-core Cortex A9 processor and SGX graphics, 1 GB of RAM, 4 GB of built-in memory, HSDPA, Wi-Fi, Bluetooth 3.0, a rear 8 MP camera with full HD 1080p recording, a front 1.3 MP camera with 720p recording and a 1800 mAh battery. A little later this year the new smartphone will hit the markets in the UK, France, Germany, Sweden, Russia, Japan and Australia. 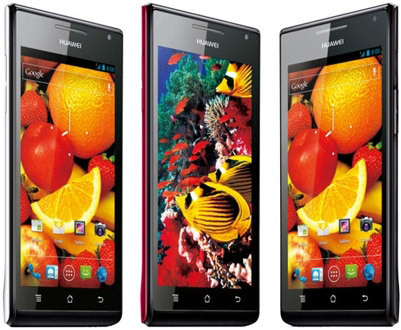 Some of these markets will also enjoy the Huawei Ascend P1 with LTE support.